Dream home location found! 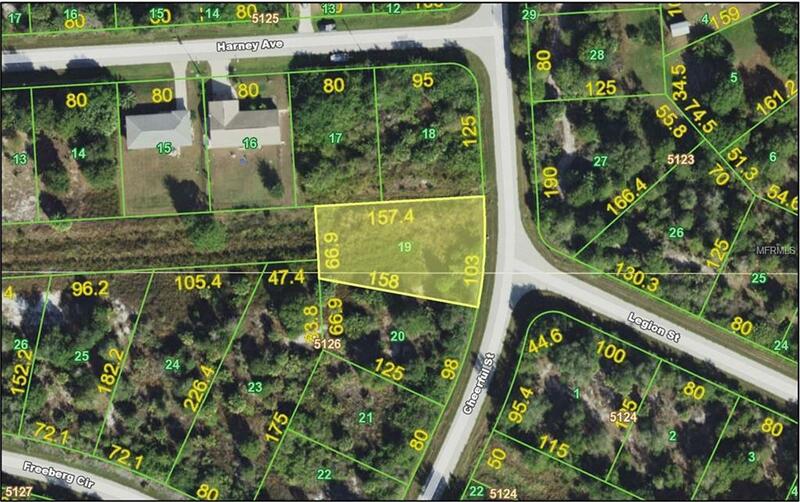 Build your new home on this vacant lot that has a convenient location. All of Floridas favorite activities are easily accessible from this lot: boating, fishing, golfing, beach combing, shopping, and dining just to name a few. Beautiful Boca Grande famous for tarpon fishing and beautiful beaches is just a short drive away. New construction means lower electric costs, homeowners and flood insurance costs, and everything warranted. Why settle for out-of-date building code specs, old materials, & someone else's odors, floorplan, & colors? Many customizable floorplans available from all the builders. Listing provided courtesy of Re/Max Palm Realty. © 2019 My Florida Regional Multiple Listing Service, Inc. All rights reserved. All listings displayed pursuant to IDX. All listing information is deemed reliable but not guaranteed and should be independently verified through personal inspection by appropriate professionals. Listings displayed on this website may be subject to prior sale or removal from sale; availability of any listing should always be independently verified. Listing information is provided for consumers personal, non-commercial use, solely to identify potential properties for potential purchase; all other use is strictly prohibited and may violate relevant federal and state law. Data last updated 2019-04-20T09:41:58.377. From the Sun Coast to the Space Coast, CENTURY 21 OneBlue is your local real estate expert. CENTURY 21® and the CENTURY 21 Logo are registered service marks owned by Century 21 Real Estate LLC. OneBlue Real Estate LLC d/b/a CENTURY 21 OneBlue fully supports the principles of the Fair Housing Act and the Equal Opportunity Act. Each office is independently owned and operated. Any services or products provided by independently owned and operated franchisees are not provided by, affiliated with or related to Century 21 Real Estate LLC nor any of its affiliated companies.